In Workers: An Archaeology of the Industrial Age, Salgado photographs the world's poor in an effort to bring their dignity in neglect and isolation to the eyes of the viewers around the world. 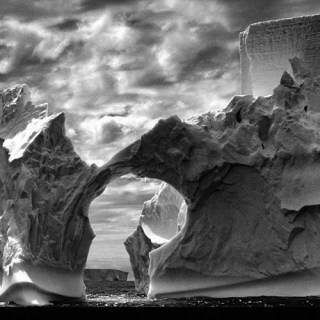 Salgado brings us a global epic that transcends mere image-making to become an affirmation of the enduring spirit of working men and women, and the human condition, globally. 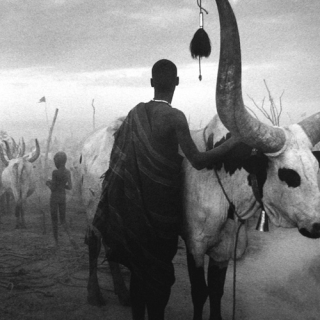 Salgado presents an archaeological perspective of the activities that have defined hard work from the Stone Age through the Industrial Revolution to the present through three hundred fifty duotone photographs. With images of the infernal landscape of an Indonesian sulfur mine, the drama of traditional Sicilian tuna fising, and the staggering endurance of Brazilian gold miners, Salgado unearths layers of visual information to reveal the ceaseless human activity at the core of modern civilization. As Workers was published on the eve of the millennium, it serves as an elegy of the passing of traditional methods of labor and production. Yet its ultimate message is one of endurance and hope, portraying the human condition with honesty and respect. Aperture 2005. Hardcover, 400 pages.